As the year end of 2017 approaches I would like to thank you for all your support this past year. It has been an amazing and delightful year. A year to celebrate Canada's 150! I hope you all have your Canadian snippets, I will continue to have just the charts in a limited fashion and do have a few again very limited quantity of Patriotic boxes left. Please don't hesitate to request one of those yet. Your imagination on the snippets knew no limit and I have enjoyed the journey of stitching with you. Thank you for sharing. It was a year of a wedding in our family. We were lucky enough to be able to add it on to the end of the JDD Cruise week, which helped make less trips across the pond! 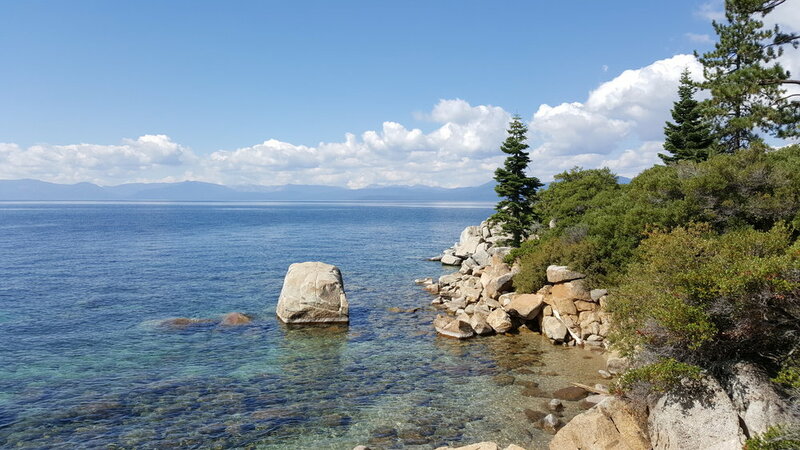 Time change and I don't seem to get along very well, I seem to do best in my little zone here at home, but then I would never get to see the wonderful things this world has to show and to experience the joy of meeting and being with you the stitchers. It continues to enrich my life enormously. I look forward to many more. It was a year of the JDD Cruise with AMA Waterways in France on the Rhone River, what a magnificent trip. We have all loved it so much that we are going again in 2019 to Holland/ Belgium where I will get to share my Dutch heritage with you. There are only a couple of berths left in a ship that holds 165 I think. Our cruise director Dejan, will be with us again, yay, he just gets us stitchy ladies, Judy Bradford of Cambridge Crusieship Centers will direct and lead us all, and Lindy of Silver Needle will keep us in goods for the trip. Mona Bost will do another finishing class for us and I will make us a matching piece to our other 2 amazing trips -'Down the Danube" and Rolling on the Rhone". It was year of my Atrial Fibrillation getting a tune up by having ablation surgery, it has been a month and so far so good, so the count down is on - 11 months to go, rapid heart beat free! So no excitement for me! haha! We have settled into a quieter time travel wise here for the next few months getting ready for Nashville 2018 and a brand new series, has me in the office overtime! I will tell you more next time! I have also begun to get to adding all the 'words' to each pattern that I lost in 2015 - I am on 2012, all previous years have the words for them, and usually have whether there is an embellishment package or not or the status of the pattern. Many many patterns have limited quantity to them, we did our year end tally and I was happy to note this. This New Year I wish you abundance and joyous moments for it has been enriching for me to have you as a JDD supporter. Remember you can always connect with JDD fans on the Jeannette Douglas Stitchers and Jeannette Douglas Is our Common Thread fan pages. News on cruising will be on the JDD Cruise fan page. Below are some fun photo memories. Just click on the gallery and it will go through them. Little snippets of life! JD207 -Halloween Sampler - Fabric: 35 ct Weeks Dye Works Confederate Grey. Design Size approx. 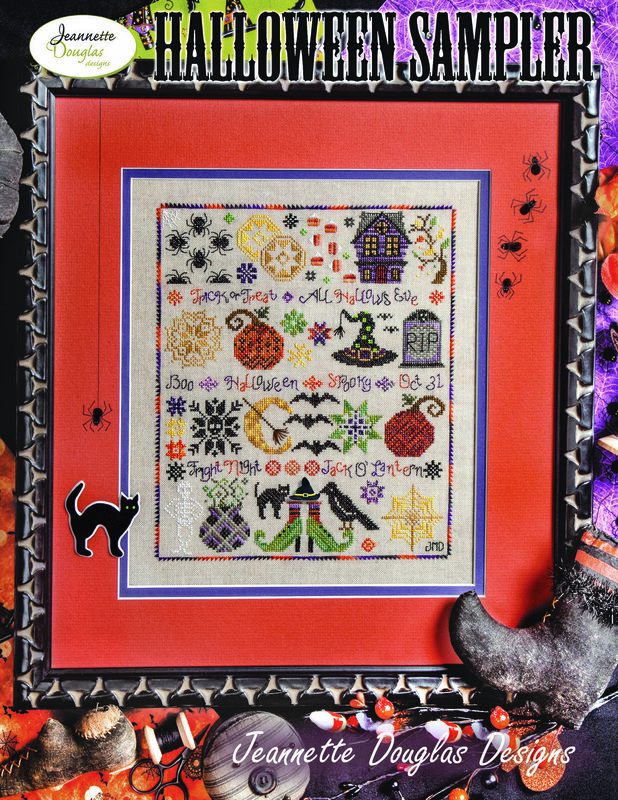 8 x 9 ½” Hallowe’en Sampler Emb. Pkg. : This has the Silk threads of the border, the handdyed cotton and metallic threads used throughout the piece and the handmade button by JABCO for this piece. This is a ‘match’ to Christmas Sampler designed a few years ago. It is the same size and enjoys the same Quakerish feel to the piece. Mostly this piece is cross stitched with a few motifs in specialty stitches- it has some good diagrams to help you through those. Happy Halloween! Check list of threads needed to stitch the chart below. These items will all be in the Emb. Pkg. 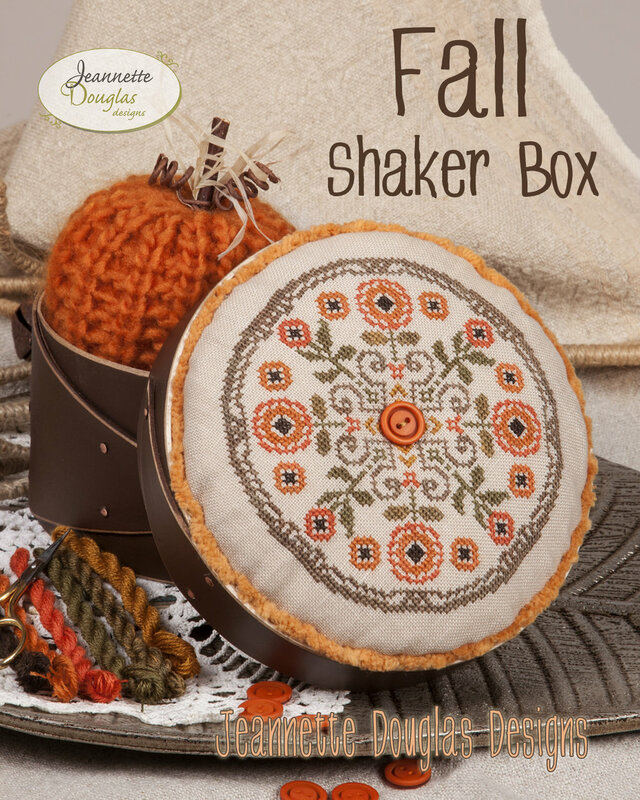 JD208--Fall Shaker Box - Fabric: 32 ct any neutral colour- I used Lt. Mocha. Design Size: 78 x 78. Pattern only. The Model was stitched in Gentle Art Threads-Simply Wool but the cotton Floss would look equally well. The colours used are: Burnt Orange, Dark Chocolate, Fragrant Cloves, Maple Syrup, Piney Woods, Pumpkin Pie, Tarnished Gold, and Wood Trail. I added an orange button from JABCO in the center. This uses a box from Lone Elm Designs 6" round -Chocolate and trim from Lady Dot Creates – Jack Chenille. This also has a match in Acorn Shaker Box from last year. JD209--Wool Pincushion and Fob - Fabric: 32 ct any neutral colour – I used Lt. Mocha. Design Size 58 x 58, stitched on 32 ct for the pincushion, the Fob is 34 x 34 stitched on 40 ct using The Gentle Art Simply Wool for both pincushion and Fob. The colours used are: Blue Spruce, Gold Leaf, Portabella, Ruby Slipper, Verdigris and Wood Trail. It was a bit of a tight fit using the wool for the little 40 ct fob, and I should have probably tried the cotton….. but I do really love the raised look and feel the wool has on a piece. It holds colour well and I love the 3-D effect it creates. 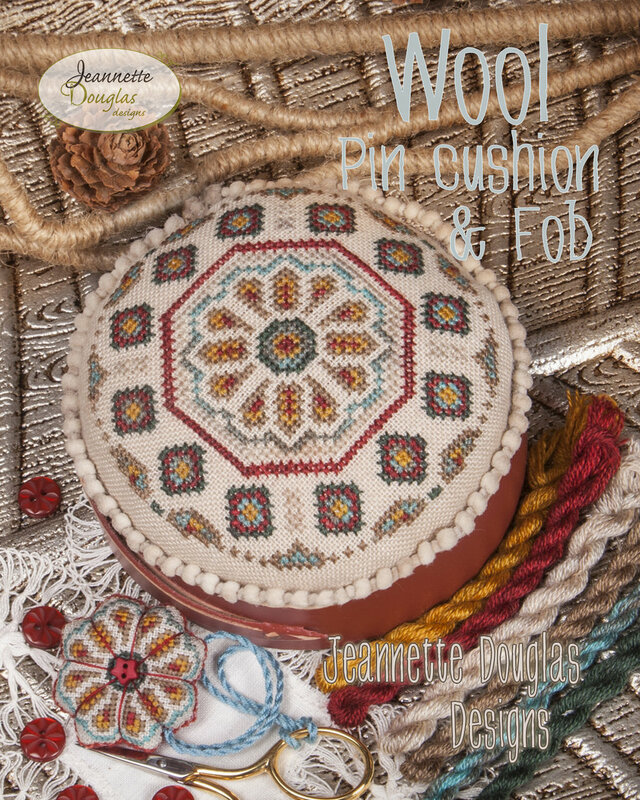 This uses 4“ Pincushion round from Lone Elm Designs -Brick Red.